A debt-ridden handyman who bludgeoned an 85-year-old widow to death with a hammer and stole her £7,000 (€7,900) diamond ring has been jailed for life. Convicted burglar Paul Prause, 65, pleaded guilty to murdering former seamstress Rosina Coleman at her Romford home in May. He described the wounds inflicted on the vulnerable victim as "sickening". He told Prause: "Your attack with a hammer was brutal and sustained long enough for her to have defensive wounds. Her terror can only be imagined. There were at least 11 blows with severe force." On May 15, he donned latex gloves and battered her with a hammer in her bedroom before calling police, claiming he found the body when he arrived to mow the lawn. Prosecutor Duncan Atkinson QC said: "He said that he had been under pressure for some time and if it had not been Rosie that day someone else 'would have got it'." Mr Atkinson said: "Significantly, a valuable ring that he had taken from Mrs Coleman was recovered from his home, raising the possibility, given the financial debts under which he was labouring at the time, that there was a financial motivation for his actions leading up to the confrontation with Rosie Coleman in which he killed her." When Prause's home in Romford was searched, a white gold diamond ring solitaire twist was found on top of a brick inside the garage. The ring, belonging to Mrs Coleman, had a retail value of up to £7,000 (€7,900). 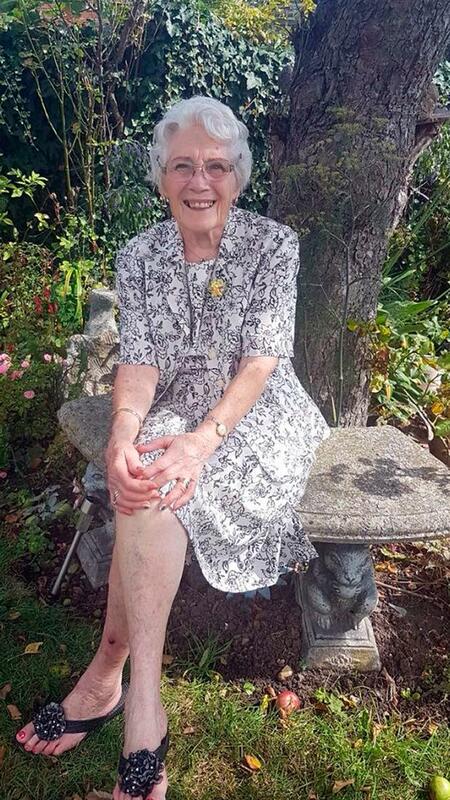 Mrs Coleman was described as a "much-loved" mother, grandmother and great grandmother.